$17,000 PRICE REDUCTION! IMMEDIATE OCCUPANCY! 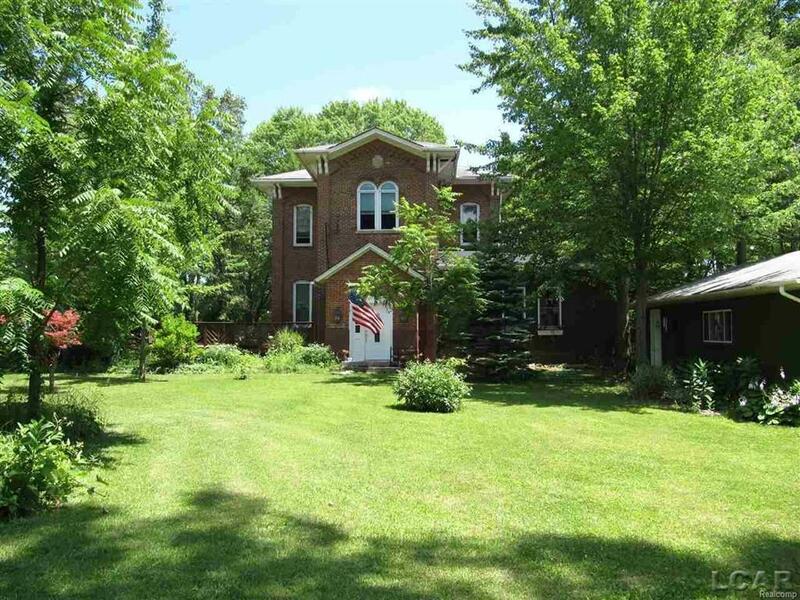 ONE OF A KIND 1875 "ITALIANATE" HISTORIC SCHOOL HOUSE with Three Bedrooms, Two Baths on large double lot (.75 Acres).THREE CAR DETACHED GARAGE. TOTALLY NEW ROOF on addition 6/17,ALL NEW GUTTERS WHOLE HOUSE 8/17.$1,200 FLOORING ALLOWANCE! Large deck, plus patio.BEAUTIFUL LEADED GLASS and STAINED GLASS DOORS. Large OPEN AREA .Only 5 miles south of Adrian, 27 mi. to Toledo, 42 mi. to Ann Arbor.BEDRMS 10X9,12X11,19X14 Seller, "WHAT I LOVE ABOUT THIS HOME, It is a spacious and comfortable home in an historic bldg. Solid and enduring. Made with many layers of locally made brick circa, 1874. Great for Lrge fam. Sleeping loft in one of the children's rooms for fun and Priv. for siblings. 2001 BLT garage w/ storage cupbds &workbench."